For years, Apple has enjoyed a reputation for creating products that are both beautiful and easy-to-use—no manual necessary. Now one of the company’s own alums, former Human Interface Evangelist Tog Tognazzini, says that reputation might not be warranted anymore. 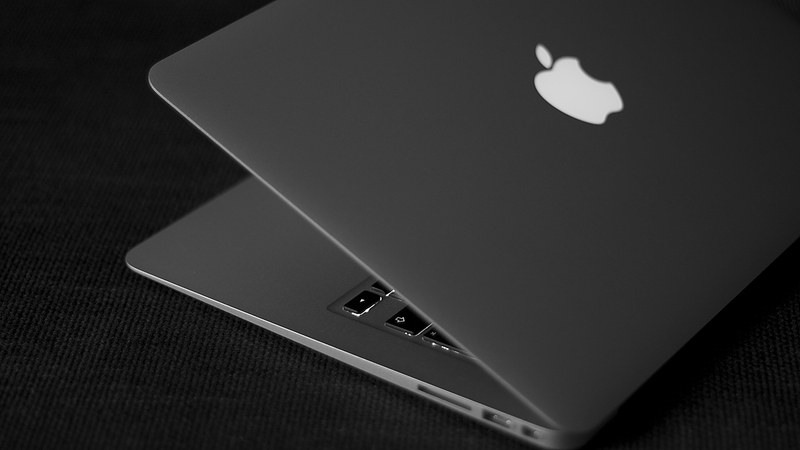 In an article for Fast Company, Tognazzini and fellow designer Don Norman argue that while Apple products are more beautiful than ever before, they’re also more complicated to use. Tognazzini joins Ira to explain just what he means when he writes that Apple is “destroying design” and what the company can do about it. Tog Tognazzini is a Principal in the Nielsen Norman Group and is founder of the Apple Human Interface Group. He’s based in Woodside, California. There’s a story about Steve Jobs from the early Macintosh days. One weekend Jobs paid a visit to the Macy’s in Palo Alto. He wanted to take a look at the Cuisinarts. This is what the Mac should be like, he thought to himself– a beautiful, friendly, easy-to-use appliance right out of the box. No manuals required. Pretty simple. And back at the office, Jobs demanded that his Mac designers buy a Cuisinart of their own and learn a few things. Well, for years, Apple has had a reputation for intuitive, easy-to-use machines– machines like that Cuisinart from a long time ago. But lately, Apple products– like the Mac and the iPhone– have lost their ease-to-use, their intuitive feel, no longer deserving that reputation for good design– at least according to my next guest. Tog Tognazzini is a principal designer at the Nielsen Norman Group and for 14 years, he was Apple’s Human Interface Evangelist under Steve Jobs. And now in an article for Fast Company, he writes that Apple is destroying design. Tog, welcome to Science Friday. IRA FLATOW: Tell us where Apple has gone wrong. What do you mean? Why did you feel you needed to write this? TOG TOGNAZZINI: Three or four years ago, we began to see that something was falling out from Apple. Before that, Steve Jobs was the final arbiter of Apple design. And after his death, there was no one who took that position and no group that took that position. That position is usually filled by people that are known as behavioral designers or human computer interaction designers. And there’s a methodology that assures before you send the product out that that product is actually going to work. That process has been stopped at Apple. Jobs used to do that on his own. Now it’s simply not being done, and we’re having products come out that have some serious usability issues that have not been flagged before they’re in the market and then can take as long as a year to correct. IRA FLATOW: Give me an example or two. TOG TOGNAZZINI: Well, for example, in iOS 7, they move to ultra thin fonts for the homescreens. These were so thin, and they were about 50% gray that anyone over about 40 years old was very likely to either see extremely blurry fonts or not see fonts at all. All they had to do was have one test subject come in– and it was a 50-year-old man or woman– sit down, tell them, we’d like you to do the following. And they would say, well, I would love to but there’s no writing on the screen. Can you help me out here? And they were to realize there was a problem. Instead of that, they ship a few million phones, and a lot of people discovered that morning that they updated their software that they had become handicapped. And they had to go into the settings on their phone and declare themselves disabled so that Apple would then make the fonts broader. With the paradoxical effect that all the develop response, which were perfectly OK, were now double width and extremely unattractive, making the phone for the next 365 days extremely unattractive. IRA FLATOW: Yeah, I plead guilty to that. I had to go in and fool around with the controls to make it a little more visible. And that goes to the point about simplicity, you know? It’s things are just not– I remember from the days when Steve Jobs would say, you should be able to just look at it and use it without having a manual. TOG TOGNAZZINI: Correct. And then they went for the illusion of simplicity instead of actual simplicity, where you just desperately want the screens to look so clean that when people are considering buying the phone, that those screens are shouting to them, this is going to be easy to use. But when you start hiding things in the process of making the screens clean, you’re actually making the usability more difficult and the user’s tasks more difficult. IRA FLATOW: One of my favorite points you make is the Undo button on the iPhone. I’m willing to bet that most people don’t know they have an Undo on the iPhone. IRA FLATOW: Where is the Undo button? TOG TOGNAZZINI: Yeah, they’re attempting to undo. And you just do it more and more, hoping it will happen. And by the end, if it doesn’t undo, you are angry as you look. And about 10% of the time, you shake it so vigorously it flies out of your hand and crashes into the wall. So it’s just a bad mechanism. IRA FLATOW: And we blame ourselves, right? I should know how this thing works the right way. TOG TOGNAZZINI: Yes. I’m foolish. I should have read the nonexistent manual. I should know how to do these things. And you know, the wonderful thing is Apple’s developing this great gestural language, but they’re not extending it. It’s frozen. So there’s been a gesture around for 100 years for undo which is used by proofreaders, which is a line that starts and makes a loop in the middle and then continues on. And that could be taught to people. And from then on, they wouldn’t have to violently shake their phone. They would just simply do that on the screen, and it would undo. IRA FLATOW: Now, you worked with, as you say, with Steve Jobs for many years. You tried to make this point. I’m going to ask it again. But is it because he is gone that the problems got worse or getting– remain– bad. TOG TOGNAZZINI: Yes. But he did not put in place the people that would be able to carry on this particular function when he left. So this is a management problem at Apple. Apple needs to have a vigorous human computer interaction group with the power to test products to ensure that this year’s works at least as well as a last year’s before they’re released and so forth. This is a function he performed on the side in addition to running this multi-billion dollar company. And it was just simply left out. It needs to be in place. IRA FLATOW: What about the problem that the canvas that we’re working on is so much smaller now? You were designing for desktops, and today’s Apple designers are trying to make everything fit on a watch. TOG TOGNAZZINI: A watch is difficult. But Apple has had enough sense to realize that the watch and the phone work together so that you do have this giant screen of the telephone when you need it. I think what they’ve done as a first draft on the watch is quite good. And then by the time you get to the phone, the smallest iPhone has more pixels on the screen than the original Mac. So the limitations that are being placed on the phones are being done artificially by Apple. They’re not inherent. IRA FLATOW: What about their trend toward flat design? They did away with the old icons that’s on the iPhone– They were colorful and looked 3D– and went to a flat design. TOG TOGNAZZINI: It’s ironic that after so many years, we finally have the pixel density and the color density to actually make icons that would be recognizable. [COUGHS] Excuse me. And they’ve made an effort to ensure that that doesn’t happen in the furtherance of flat design. The only thing good about flat design is that it too shall pass. IRA FLATOW: Really? How are you so sure about that? TOG TOGNAZZINI: [COUGHS] Because [SWALLOWS] fashion is all about the new. And you have to make the old look old by coming up with a new fashion. IRA FLATOW: So you’re hopeful. Yeah, take a drink of water if you want to. Go ahead. IRA FLATOW: So you’re hopeful, then, that things might change over there. TOG TOGNAZZINI: Yeah, I am. Someone at Apple has to get the message that they need usability people, and then things will instantly change for the better. You can still do flat design and have it be productive and useful and learnable and everything else. The problem is that if you don’t test it and you just throw out new ideas, you don’t know what’s going to happen. IRA FLATOW: And one last thing about the design. What about all the submenus you don’t know are there? You have to go hunt for them. Used to be that it would be self-explanatory. TOG TOGNAZZINI: Yeah, and that’s not inherent in flat design. That’s inherent in bad design and in the illusion of simplicity where it’s more important that people who haven’t bought yet think it’s simple than for users to be able to use it. And that’s another thing that Usability would come back and say, this is not working. We’ve given the person the tasks to do this, and they can’t do it without using Apple’s help system, which is called Google, to find out how to do it. IRA FLATOW: We’re about out of time, Tog. I want to thank you for taking time to be with us today. TOG TOGNAZZINI: It was a great pleasure. Tog Tognazzini is a principal designer at the Nielsen Norman Group. He was founder of Apple’s Human Interface Group. And we invite folks from Apple– anybody from Apple who wants to come on and rebut. Jony Ive come on and tell us about what you’re doing.